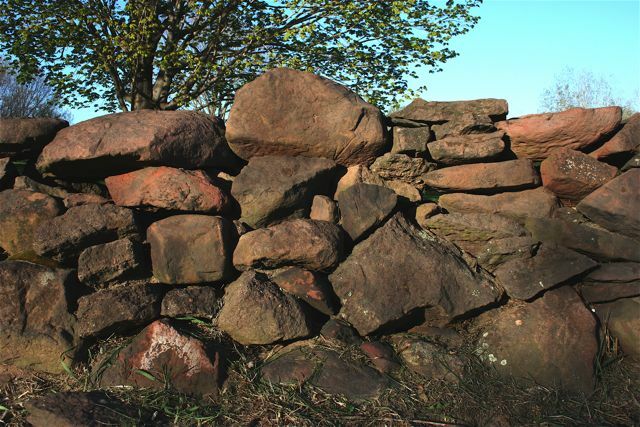 What is a Stone Wall ? Map of bedrock reproduced from Appendix 1 on page 158 of “Exploring Stone Walls.” There’s an error in this map, a mass of granite in east-bay Rhode Island and adjacent southeast Massachusetts. This will be fixed when I get a chance. Samples of stones from different map units shown below. 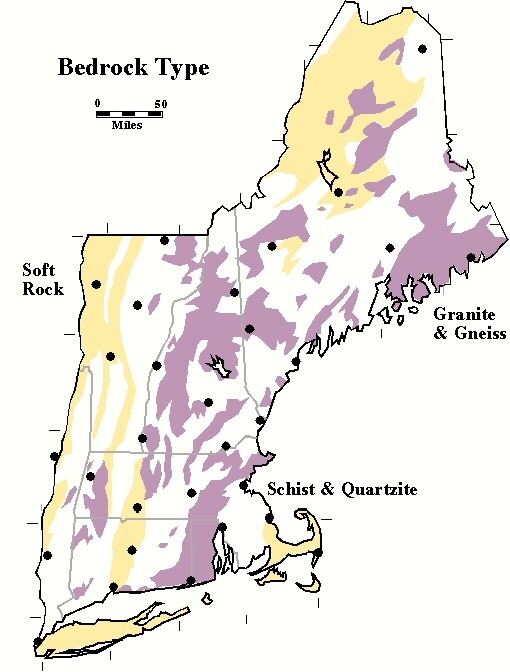 Map unit “Granite & Gneiss” (PURPLE): generally massive and uniform, giving rise to ball-shaped boulders. 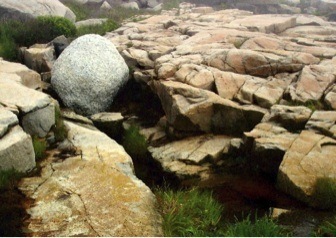 Map Unit ‘Schist & Quartzite’ (WHITE): generally giving rise to well-layered and resistant tablets and slabs). Cobblestone provides the contrast. 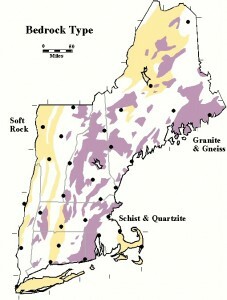 Map unit ‘Soft Rock” (YELLOW): generally non-metamorphosed sandstone and limestone/marble. 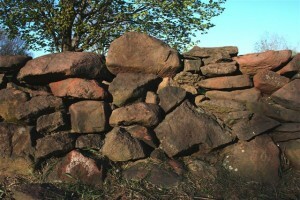 These are usually easily crushed, making walls rare. 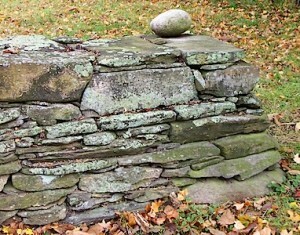 Link back to stone wall provinces.